Tab management is one of the best feature in Google chrome, which allows users to manage browser tabs easily. Now you can get the same style on your Windows Explorer with Clover app. It’s a simple app which allows you to add chrome style tabs into the user interface of Microsoft’s iconic file manager. With this free app you can browse windows explorer as a Tab, same like a chrome browser. With this app you don’t need to open new windows explorer everytime to browse the folder and files, you can search them on the tabs with the help of clover app. 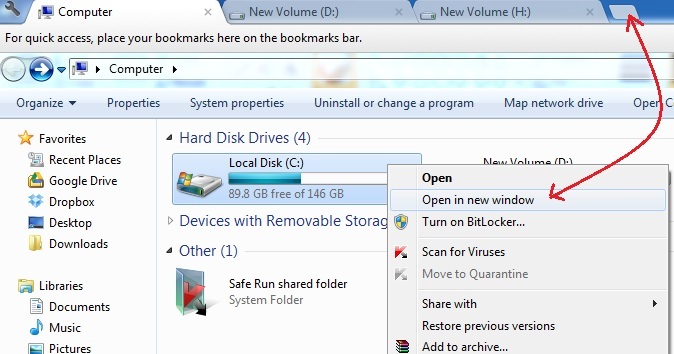 It gives you the option to open the folder in new windows same like Firefox and chrome browsers. It allows you to manage your folders like how you manage your browser tabs. All you have to do is install the clover app on your windows PC. After the installation open the window explorer to see the tab on your explorer. Here you will notice the tab interface at the top of the window. As we mention above the app is working same like the Chrome browser, If you right-click on a tab, you can see the option like re-open a closed tab, duplicate an existing tab, or pin a tab or bookmark the tab, same as the chrome. 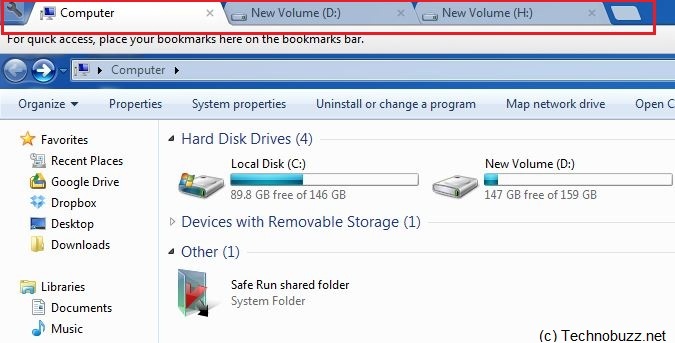 Also you can open folders in new window, to open the new folder on the new Tab, right click on the Folder and select the option “Open in new Windows”. 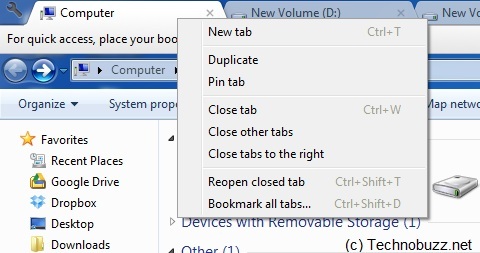 Or you can open the new Tab from the tops of windows explorer new tab option, similar to browser tabs on Google Chrome. You can also use shortcuts to manage tab in windows Explorer, Launch a new Tab with Ctrl+T, close a Tab with Ctrl+W, and skipping through them is done with Ctrl+Tab and Ctrl+Shift+Tab. you have to must try this app to get the chrome browser look on your Windows Explorer. We tested the Clover app on our Windows 7 and 8 PC. On both operating systems everything worked without any problems. superb i really like it……..